The auld sod ain’t so bad after all. 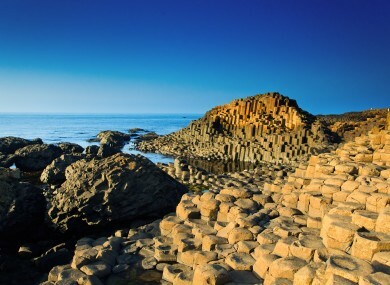 DEVELOPERS HAVE WON permission to develop a new five star hotel and golf course less than a mile from one of the most visited tourist sites in Ireland, the Giant’s Causeway. It makes sense to take advantage of a site with views often described as breathtaking, filled with interlocking basalt columns making up much of the landscape. They were the result of a volcanic eruption y’know. The thing is, there are actually loads of amazing places in Ireland from prehistoric passage tombs to plain old beautiful landscape. Lest we forget, here are some of our favourites. 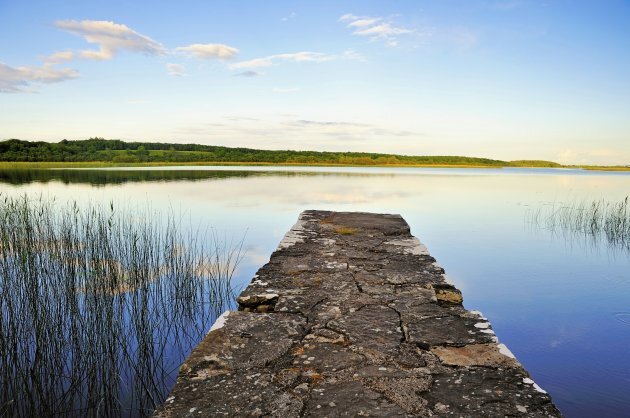 Apparently there are 365 lakes in Cavan. We can't vouch for all of them but the ones we've seen are very pretty indeed. Lots of them are specially protected ares due to the wildlife who live in and around them so if you head that direction you'll probably get a real nature-y feeling which is good for the spirit. Running from Dingle in the South, towards Brandon Bay in the north, this is the longest mountain pass in Ireland. It can be a little scary, you are driving along a narrow road on the side of a cliff after all, but the views over the valleys and lakes are stunning. Incorporating lakes, mountains, woodlands and the fancy Muckross House and Gardens, Killarney National Park has a lot going on. It was designated a Biosphere Reserve in 1981 by UNESCO, so is part of a world network of natural areas with conservation, research, education and training at the centre of its operation. You probably know about these bad boys, but you may not have been. They range for eight kilometres and soar 214 metres above the Atlantic at their highest point. They are genuinely impressive, with views of the Aran Islands, Galway Bay and more. They got their name from a fort "Mothar" which was demolished during the Napoleonic wars to make room for a signal tower. Mmmm...historical. Twenty minutes drive from Dundalk, the Cooley Peninsula incorporates areas like Omeath, Carlingford and Greenore. Here you'll get hilly landscape, stoney beaches and Carlingford Lough and a real feeling of being away. This quiet country valley is ridiculously gorgeous, and includes 'sixteen miles of unspoilt countryside'. There are loads of opportunities for good healthy walks in lovely scenery too. See? Don't say we don't look after you. This place is just ridiculous when you think about it. First, it's 5,000 years old. That's older than Stonehenge or the Great Pyramid of Giza in Egypt. Second, you can get your art on, because many of the 97 kerbstones at the base of the mound have megalithic art on them. Don't know what megalithic art is? You'd probably find out if you went to Newgrange. If local myths are to be believed, the Rock of Cashel came from the Devil's Bit, a mountain 20 miles north of Cashel, when St. Patrick banished Satan from a cave. This heroic move apparently caused the rock to land in Cashel. How? We're not clear on the details. It then became the traditional seat for the King of Munster for several hundred years and as a result is now the site of some pretty incredible ruins. Want to get in touch with your sense of Irish history? This is the place for you. You can practically smell Brian Boru. Off the coast of Kerry, the Blaskets were inhabited by an entirely Irish-speaking population until 1953 when it was decided that the safety of the islanders could no longer be guaranteed. You can still visit though, and the Great Blasket Island is expected to be turned into a sort of National Park in the near future. Even if you just want to curse Peig Sayers for grief caused during your Leaving Cert (this was her home), it's probably worth a look. Where else do you think we should all go and visit? Tell us in the comments. Email “9 places in Ireland you need to visit as soon as possible”. Feedback on “9 places in Ireland you need to visit as soon as possible”.